Nicole Atkins' second full length album "Mondo Amore" was released on February 8, 2011 after some delays. 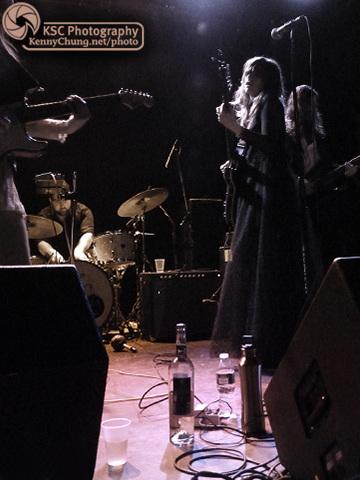 So she and her band The Black Sea used the Bowery Ballroom show as both a tour kickoff and an album release party. 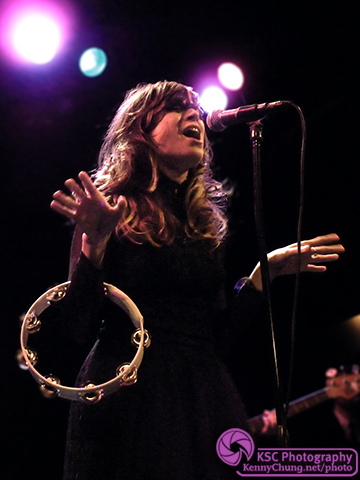 Amazing show with awe-inspiring vocals by the talented and beautiful Nicole Atkins. 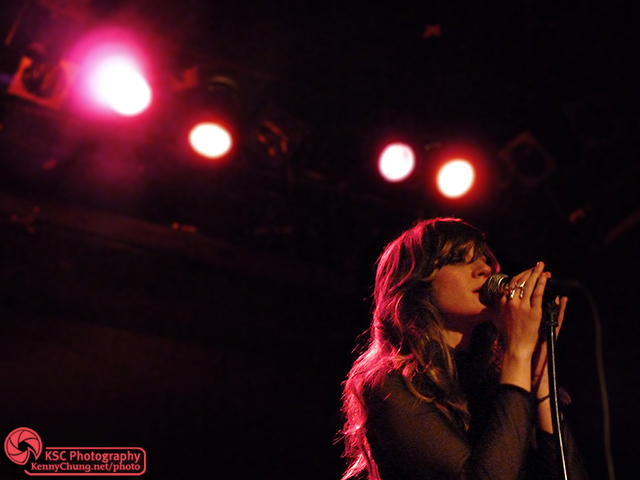 Nicole Atkins singing at the Bowery Ballroom. 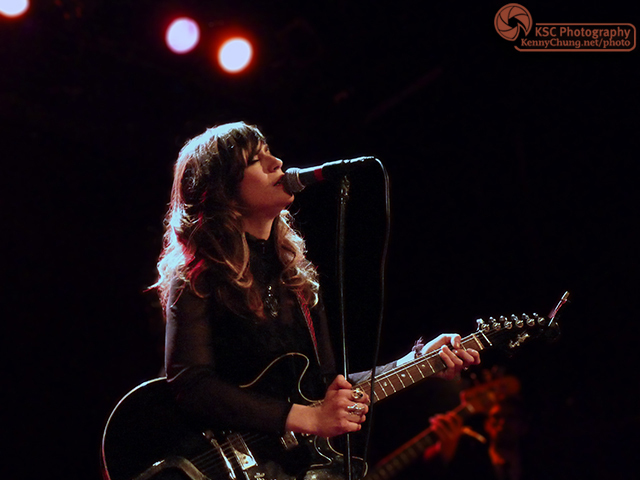 Nicole Atkins playing a black Hagstrom Viking semi-hollow guitar and singing. 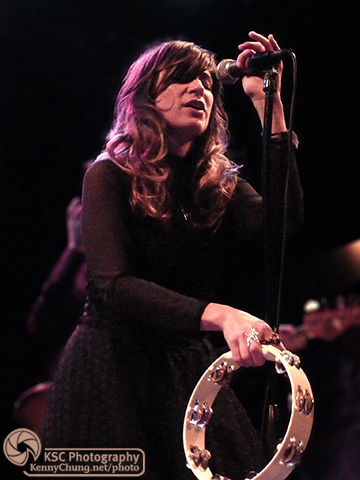 Nicole Atkins playing the tambouring and singing. At several points, she put the tambourine behind her head like a halo. Nicole Atkins and members of The Black Sea were drinking (what she described as) cheap wine on stage. Senior (the older gentleman on the cover of "Mondo Amore") was also there drinking on stage. 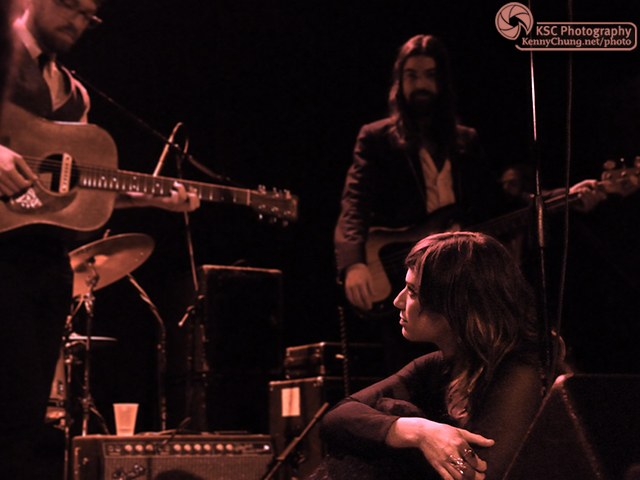 Nicole Atkins decided to have a seat during her performance and just watched the talented members of The Black Sea play their instruments. Nicole Atkins closing the first part of her amazing set at the Bowery Ballroom with "Vultures".